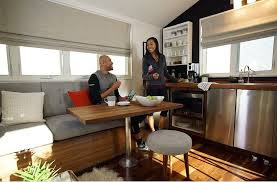 First we heard that Ikea was getting into the US modular home business followed by rumors that Toyota was heading to the West coast with their mods, then the Swedes were looking at our huge housing industry and now the Germans are building a big prefab factory in Baltimore. Who could possibly be left to enter the US modular housing market? Why Intel of course! 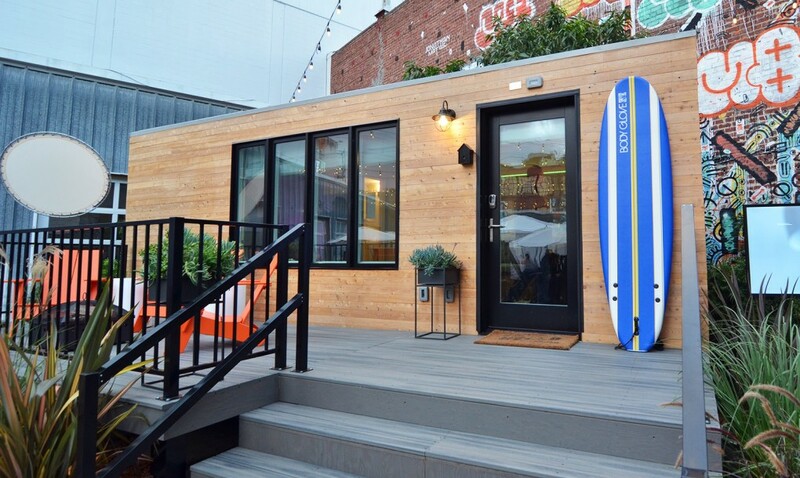 Intel's tiny house is just 210 square feet, representing the micro-spaces that millennials and city-dwellers are now calling home. The house showcases how smart-home devices can work together and be controlled through one simple interface. The house is currently located in San Francisco, but can travel around and will be used as a testing lab for new technologies over the next 12 to 18 months. Ultimately, Intel says it sees a world where people's homes communicate seamlessly with their cars, and their neighborhoods communicate with a whole smart city network. To achieve that, though, it first needs to understand just what is possible in the connected home and to what extent it can be integrated with all of the other connected devices available. 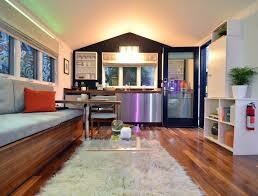 The Smart Tiny Home has been created as a living lab to explore just these issues. Intel says it is "not designed as a utopian showcase," but instead as an experiment that will evolve over the next 12 to 18 months. What happens when the experimental period is over? Why Blu Homes will introduce it as the home of the future.